Graded GOOD+ 35 by SGC (submitted by REA). Outstanding mid-grade example of one of Eddie Plank's most stunning cards, from the very rare and highly regarded PC805 Novelty Cutlery postcard set, issued in 1907. All Novelty Cutlery postcards are extremely rare. Bright, crisp, and clean. An ideal sample. The card has never been mailed and has no writing on its traditional postcard reverse. 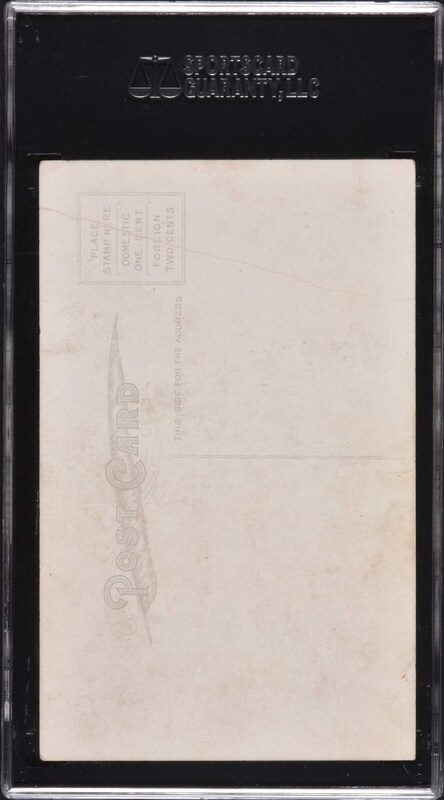 A horizontal crease extending across the top portion of the card accounts for the assigned grade. 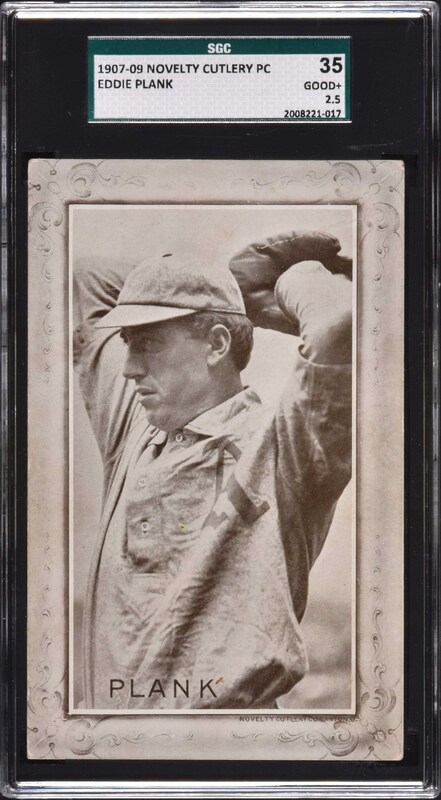 This is an exceptional mid-grade example of one of the key Hall of Famers from this beautiful and rare set. Reserve $200. Estimate (open).